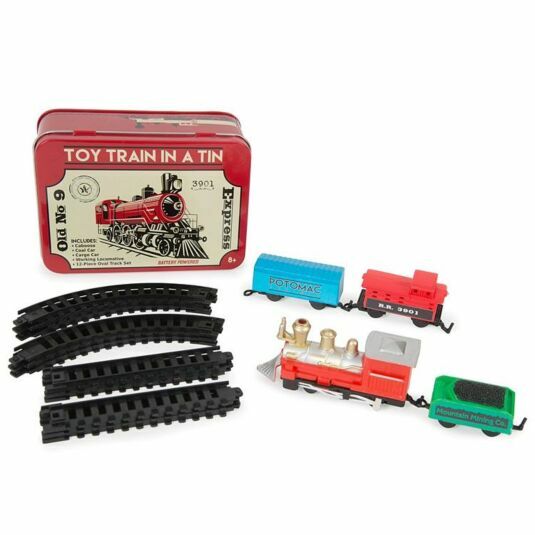 This classic desktop 16 piece train set comes packaged in a robust, vintage looking tin container. Inside are 12 pieces of track - 6 curved and 6 straight - which when completed make a circuit measuring 56 x 26 cm. To complete the effect there’s a perfectly formed battery operated locomotive, coal, cargo and passenger carriages. 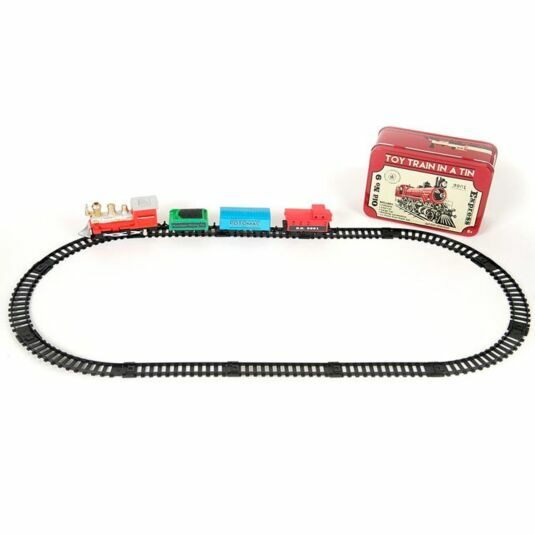 Set it up in minutes and enjoy hours of fun with the whole family! Requires 1 x AA battery, not included. Suitable for ages 8+. 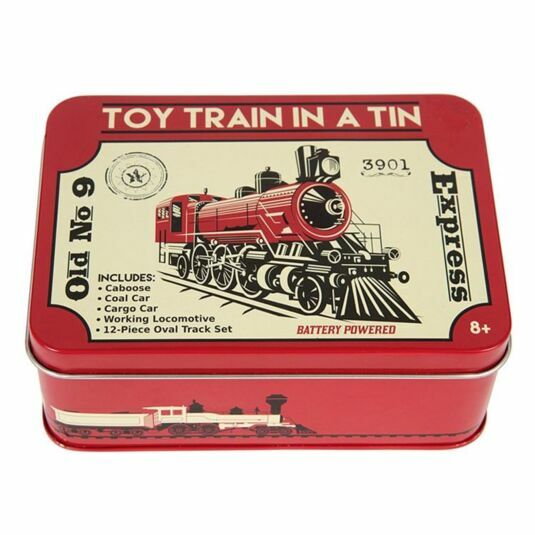 The tin measures 14.5 cm x 10.5 cm x 5.5 cm.